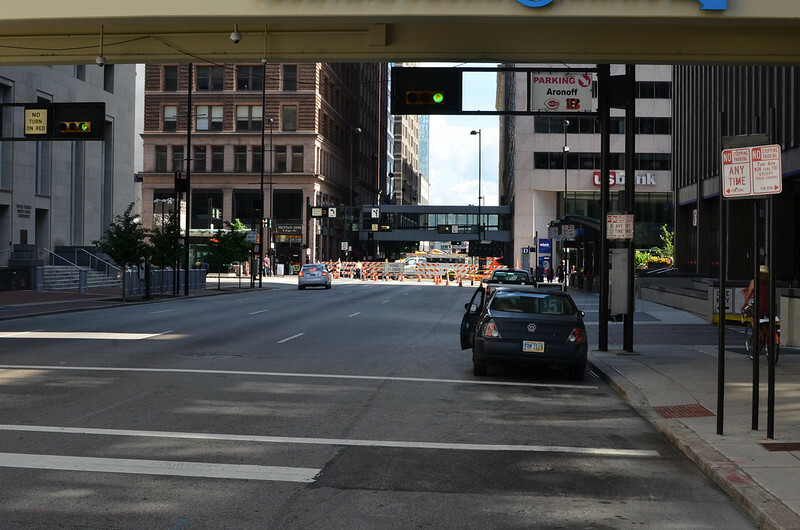 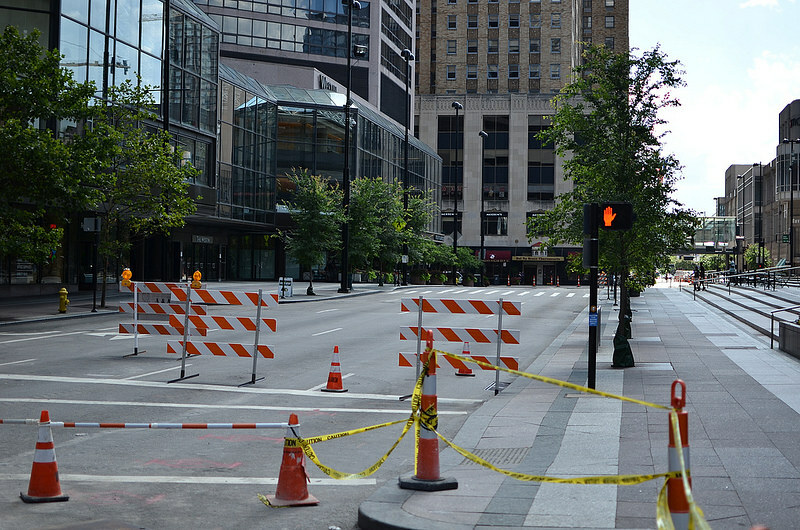 Over the weekend, you may have noticed it was somewhat difficult to get around Downtown. 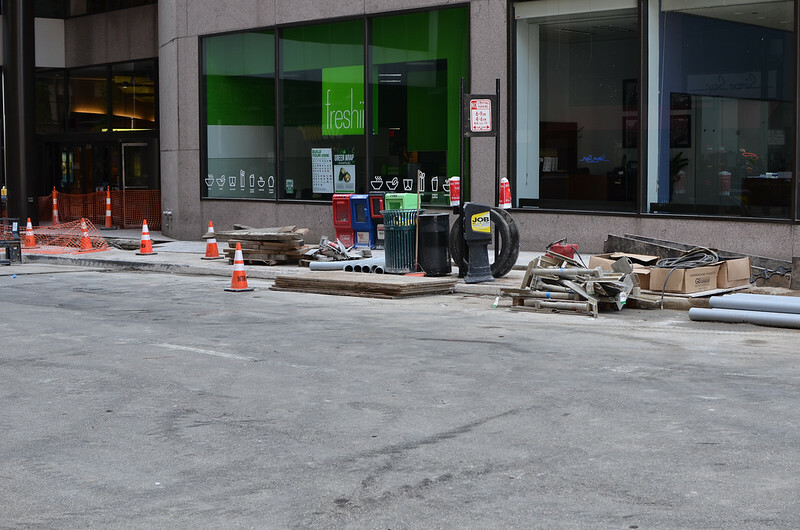 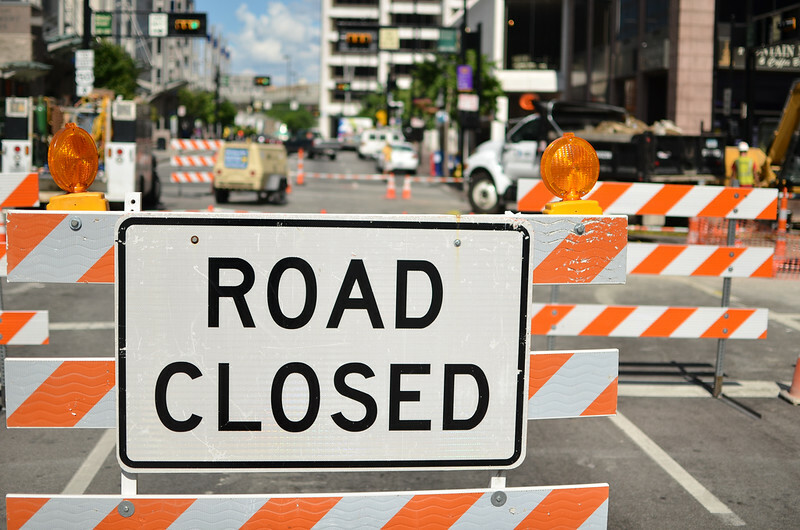 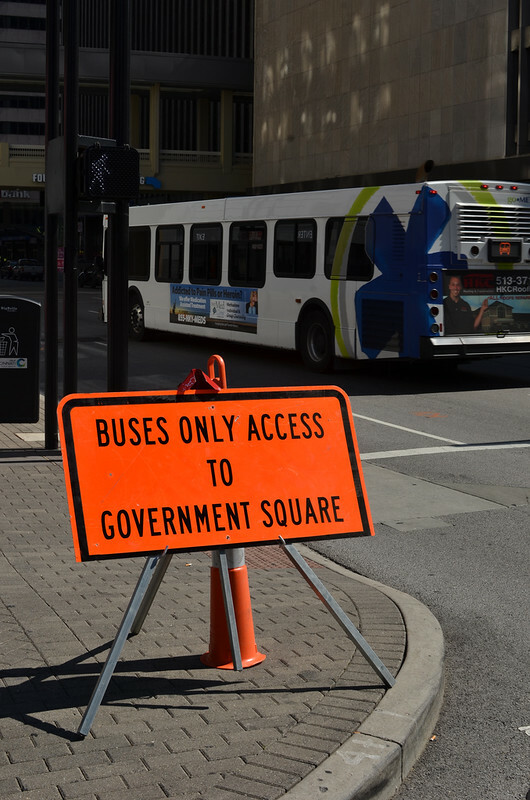 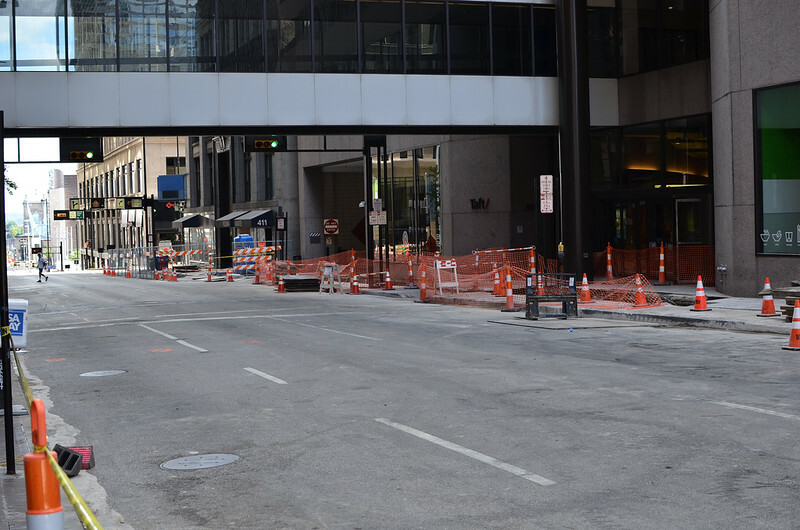 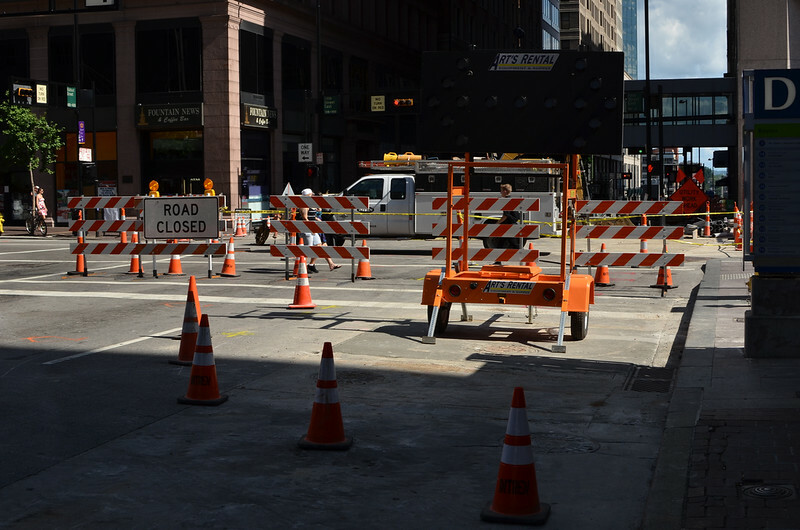 The major intersection of Fifth and Walnut Streets at Government Square were closed in a six-block radius as Duke Energy worked to relocate underground electric facilities. 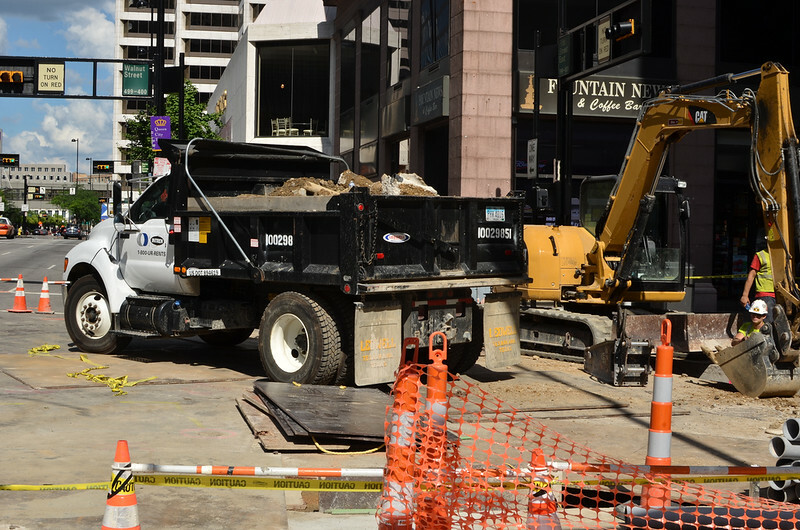 The construction is part of the Cincinnati Streetcar project, which requires the company to move its utilities to accommodate rail infrastructure. 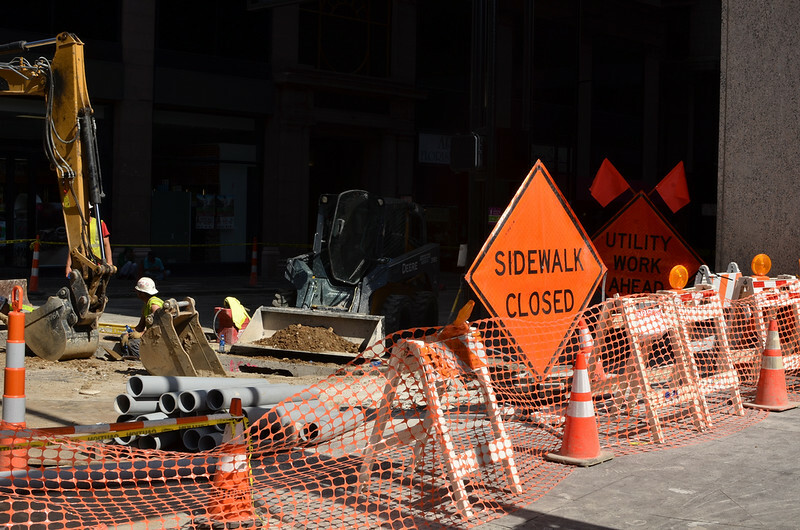 Since March, residents may have observed underground work occurring along the route in Over-The-Rhine. 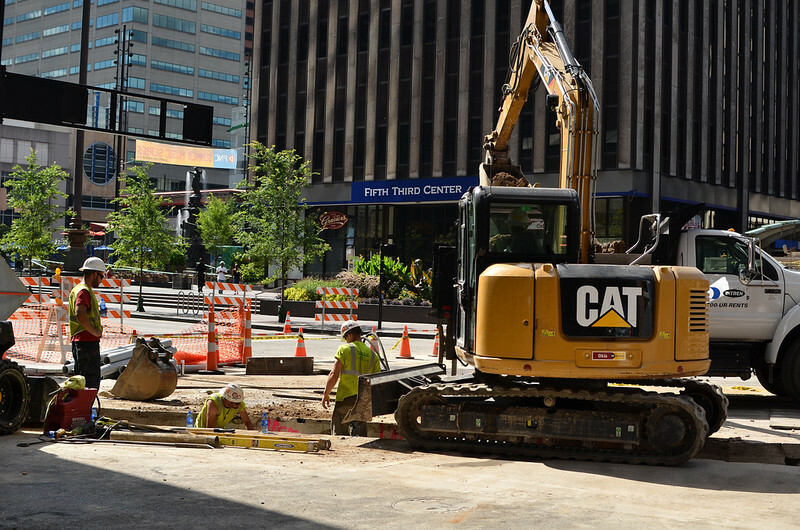 Government Square has been the most visible streetcar-related construction south of Central Parkway in the Central Business District. 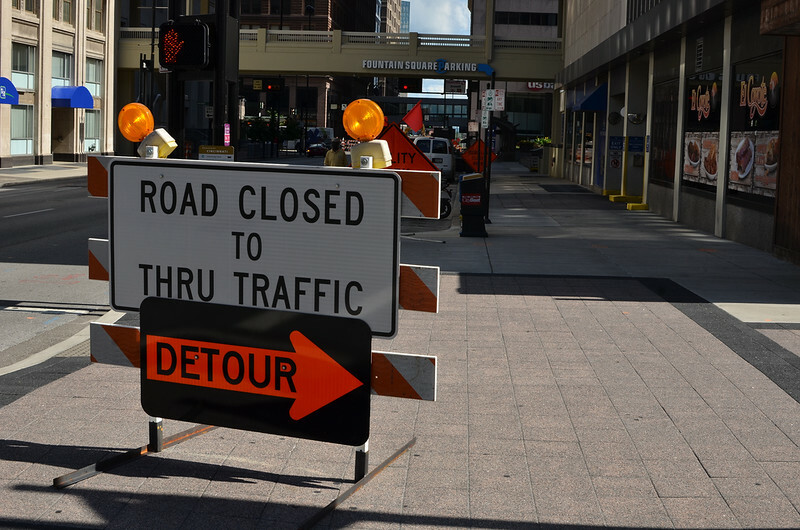 While re-routing traffic may be somewhat problematic, pro-transit group Cincinnatians For Progress saw a favorable response when sharing the detour schedule on their Facebook page. 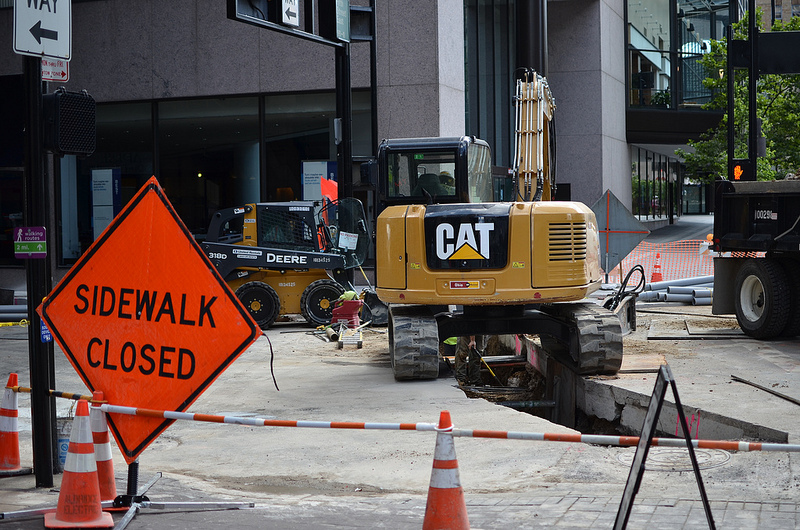 People "liking" construction? 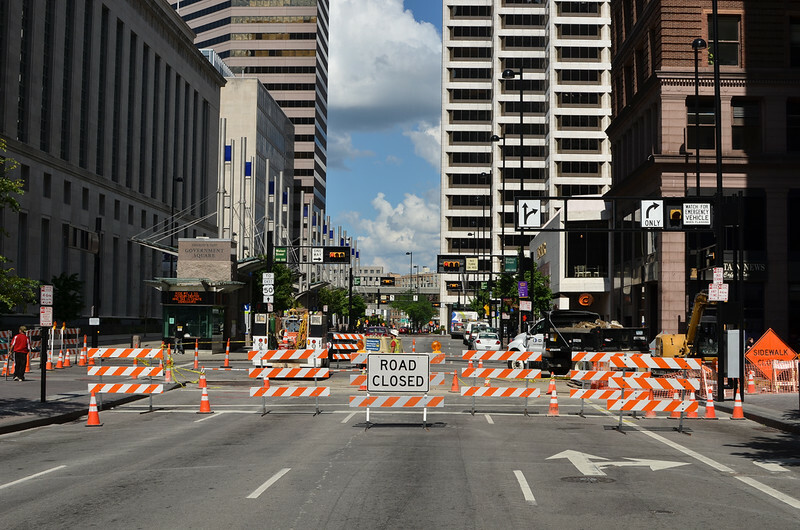 Only in the name of civic advancement.